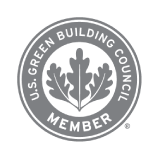 Our Chief Engineer is a LEED Accredited Professional and has worked on LEED certified buildings. We have the capability to perform Building Energy Model and other LEED calculations. At HBL, we value the Green Philosophy, both on the jobsite and in house, and make every effort to reduce, reuse and recycle. We have equipped our office with motion sensors to improve energy efficiency. Our fabrication shop has been retrofitted with high efficiency T5 lighting fixtures to meet ASHRAE 90.1 lighting requirements. This effort has also been reinforced on various jobsites where we perform work in-line with Lean principles. Green building principles and design can reduce and/or eliminate many of the negative impacts on our environment. At HBL, our Green Philosophy is embraced as the way forward for generations to come.